They say ‘the next step is to work on scaling up the system and boosting its efficiency’. MIT-developed system could provide drinking water even in extremely arid locations, says MIT’s News Office. The system, based on relatively new high-surface-area materials called metal-organic frameworks (MOFs), can extract potable water from even the driest of desert air, the researchers say, with relative humidities as low as 10 percent. Current methods for extracting water from air require much higher levels – 100 percent humidity for fog-harvesting methods, and above 50 percent for dew-harvesting refrigeration-based systems, which also require large amounts of energy for cooling. So the new system could potentially fill an unmet need for water even in the world’s driest regions. The test device was powered solely by sunlight, and although it was a small proof-of-concept device, if scaled up its output would be equivalent to more than a quarter-liter of water per day per kilogram of MOF, the researchers say. The only problem that I foresee is that it will make the area even more Arid. I would prefer to see some means of actually getting water there. Ahh, but in most instances, the captured water returns to the environment in 1-3 days. Herbert’s still suits are coming. This harvests the power of wind (bringing moisture from oceans). Might not be a good idea to use this system in a valley. As I understand it removing water molecules from air makes it more dense. OK, they had the test unit on the roof of a building in a populated area. Now what were the results out in the bare landscape, no buildings, no people just clear ground? Those are the results that matter. How long before the MOF gets clogged up with dust? It’s not the first from MIT to go down this silly road. Their previous attempts were given a well deserved rubbishing by Thunderfoot on youtube. Ultimately, the numbers will almost certainly just never add up. The slowness, low efficiency, low capacity, capital costs and energy costs will always make it cheaper to ship water from elsewhere. When it comes to harvesting water from desert air, there have been simpler and more practical proposals involving radiatively cooled panels which condense water on their non radiating side. 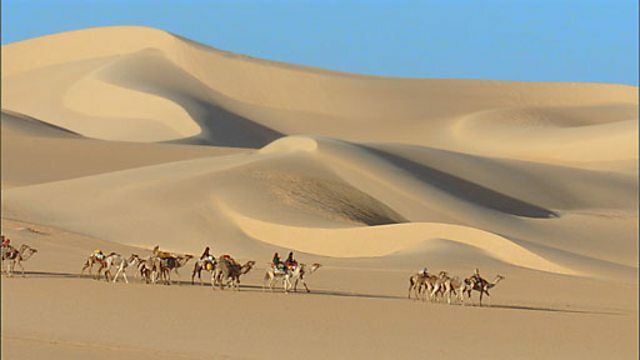 In the desert environment, due to little humidity and cloud, the sky background temperature can be -50C during the day and lower again at night. If such a panel is sun shielded and correctly insulated, temperatures below freezing can be achieved even during the day. Some quite astounding results have been achieved with selective surfaces that radiate primarily in the wavelengths of the atmospheric window (8-14 microns). Such a material is therefore radiating not to sky background temperatures ~223K but to space background of ~3K. Of course temperatures would not be so low if external air were being introduced to the rear of the sample to condense water out, but -25C is still pretty impressive. The advantage to a radiatively cooled water condenser built around this technology is that besides the fan controlling air flow to the condensation side of the radiator panel, the system is entirely passive. How many people are lining up to tap the wealth of free water in roof-top HVAC installations? With all the biology ever present in the air is it possible to extract filthier water? Then there is that Legionaire’s Disease thing… Swamp water not quite ready to drink, I think. Might be best used for drip irrigation. An array of millions of Darkling beetles all with rses in the air and their backs to the oncoming breeze. A passive, durable, and effective method of water collection, fog harvesting consists of catching the microscopic droplets of water suspended in the wind that make up fog. Fog harvesting is possible – and has gained traction over the last several decades – in areas of Africa, South America, Asia, the Middle East, and even California. As illustrated by recent headlines of South Africa’s countdown to “Day Zero,” or the day the water taps are expected to run dry, water scarcity continues to be a growing problem across the globe. Leading researchers now estimate that two-thirds of the world’s population already live under conditions of severe water scarcity at least one month of the year. Fog harvesting could help alleviate that shortage, and now an interdisciplinary research team at Virginia Tech has improved the traditional design of fog nets to increase their collection capacity by threefold. A working model can be seen on Tatooine.